This CD contains insert songs for the TV anime Love Live! Sunshine!! (ラブライブ!サンシャイン!!). "Omoiyo Hitotsu ni nare" sung by the Aqours members except for Sakurauchi Riko (Aida Rikako). 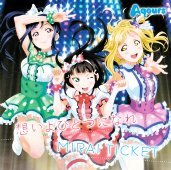 "Mirai Ticket" sung by the seiyuu group Aqours (アクア). 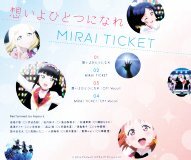 "Omoiyo Hitotsu ni nare" was used in episode 11, "Mirai Ticket" was used in episode 13.